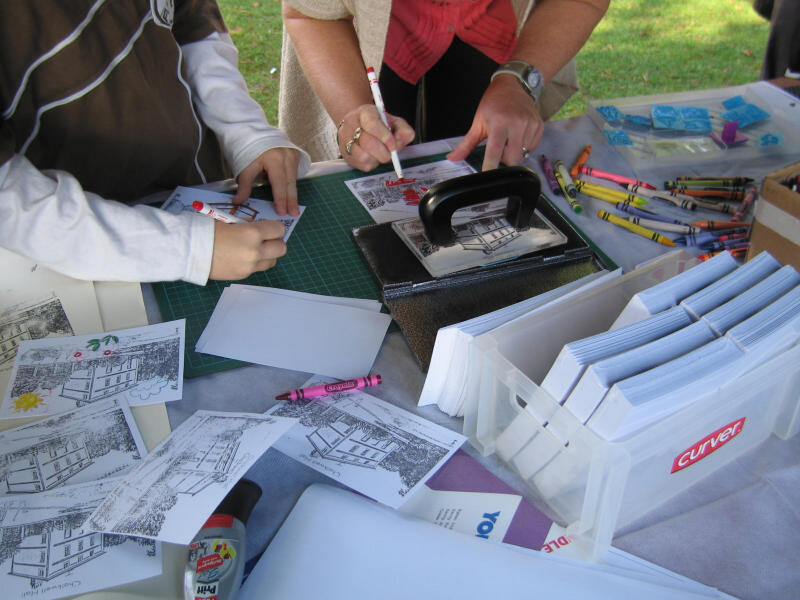 This project was developed for Metal's Village Green event in September '08. 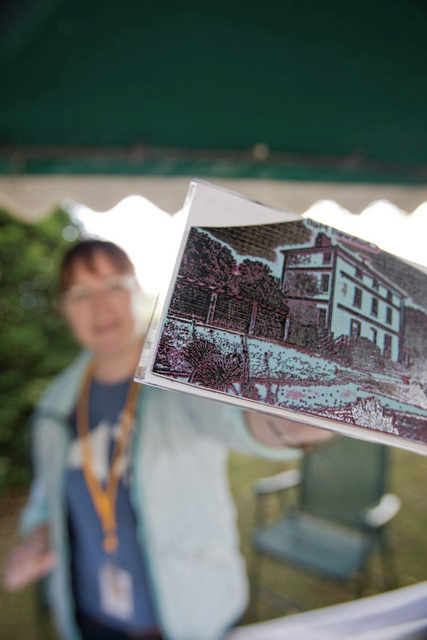 Village Green is part of Metal’s work building activities and profile for a newly renovated, low carbon, space for art, events and conversation at Chalkwell Hall, and is supported by Southend on Sea Borough. Metal invited 10 artists of different disciplines to come up with some ideas of activities / interventions of a participatory nature that could happen throughout the day, to complement the mix of programmed activities. The "Chalkwell Hall: Unlimited Edition Print" was my response; a black and white do-it-yourself stamp print of the Hall that could be customised to create an individual vision of the building in the past, present or the future. The finished piece could be taken home or left on display. 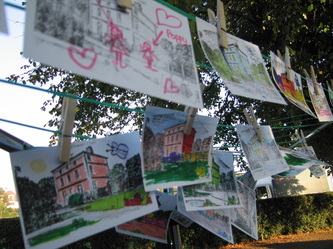 The project was designed to compliment Rachel Lichtenstein's research on Chalkwell Hall displayed on the neighbouring stall. The image used for this project was adapted from photos taken of the Hall prior to renovation (you can see the old tv aerial on the roof). It is influenced both by traditional engraving techniques and by the work of pioneering colour photographer, John Hinde, who extended his practice to vast audiences via the postcard company he set up – unlimited edition images. Hinde produced postcards using the tri-colour carbro process that tried to match people's memories of where they had been rather than the reality. 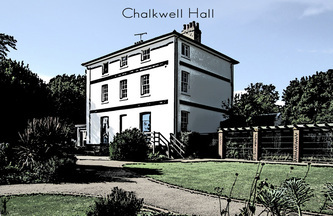 The image also drew on hand-tinted engravings and photographs, often reproduced as postcards (including views of Chalkwell Hall itself). Produced before colour photography was invented, they also often show a scene we’d like to see, rather than the one that is actually there.